Nayla Rush is a senior researcher at the Center for Immigration Studies. President Obama promised and Congress acquiesced to admitting 10,000 Syrians via the refugee resettlement program this fiscal year (which ends September 30). From the beginning of the fiscal year (October 1, 2015) through May 31, 2016, over 2,773 Syrian refugees made it to the United States (1,037 during the month of May alone), meaning that 7,227 are expected to arrive before the end of the fiscal year, and probably before the "Summit on the Global Refugee Crisis" on September 20 in New York. The summit is being hosted by Obama and will follow the UN high-level plenary Meeting on Refugees and Migrants scheduled for September 19. New and significant funding commitments: "At least 10 additional governments to commit to provide a regular contribution to the UN" and "an increase in global humanitarian financing for appeals by 30 percent, from $10 billion in 2015 to $13 billion in 2016." More resettlement and other legal channels for admissions: Commitments to "at least double the number of refugees who are resettled or are afforded other safe, legal channels of admission." Countries that have not yet participated in this program will be encouraged to do so. Increased opportunities for refugees in hosting countries: "Commitments from at least 10 refugee hosting nations to take significant steps to enable refugees' self-reliance through opportunities to attend school and/or to work legally." In short, Obama will appeal for more money, more people brought in through the refugee resettlement program or through "other legal channels for humanitarian admissions", and more efforts toward integrating Syrian refugees into their hosting societies in the Middle East. On that second point, we already warned against these "alternative legal pathways" used as detours to bring more Syrian refugees into the United States outside the official refugee resettlement program.2 Those channels can range from student visas, academic scholarships, medical admissions, and employment contracts to broader family reunifications programs for Syrian refugees. In fact, and starting this past February, the Priority-2 (P2) Direct Access Program (DAP), which began for Iraqi beneficiaries in 2008, is now accessible to Syrian nationals. This program allows a U.S. citizen to petition for alien relatives (through an I-130 form) such as spouses, children, parents, brothers, and sisters to come to the United States. A lawful permanent resident (green card holder) can only sponsor a spouse and unmarried children under 21. As a reminder, a Syrian refugee has to apply for a green card one year after entry to the United States and can obtain U.S. citizenship five years after arrival. According to the State Department, "this program promotes family reunification and may allow Iraqi and Syrian beneficiaries whose immigrant visas are not current and who have a refugee claim an opportunity to arrive in the United States more quickly. "3 This program will indeed expedite the visa applications of family members of Syrians already present in the United States. Let us not forget that the new processing time for Syrian refugees has been reduced to three months (for comparison, a regular sibling application might take a decade or more). Also, family members immigrating to the United States are responsible for their travel and visa application fees while refugees under the refugee resettlement program receive public assistance related to their travel, reception, and initial stay in the United States. Apart from this specific expansion of the family reunification program for Syrian refugees, other sponsoring channels are not new: work authorizations, student and medical visas, etc., are existing admission methods for immigrants. What is different here is this administration's apparent intent to promote these "private sponsorships" as indirect routes to bring in increasing numbers of Syrian refugees outside the refugee resettlement program. Slots in the refugee resettlement program are limited and approved (tacitly) by Congress, whereas these alternate pathways have no limits and lack formal traceability. We should expect thousands and thousands of entrants in the future via these lawful detours. The political will is undoubtedly there. As for funding, the IIE's total revenue for 2015 was $840 million. In 2015, almost all of its revenue came from foreign governments and international organizations (52 percent) and from U.S. government agencies (36 percent). IIE administers the Fulbright Program, which is sponsored by the U.S. Department of State. The Fulbright Scholar Program takes on "two of the biggest challenges facing the world today: climate change and the refugee crisis caused by the Syrian civil war." One wonders about such ostensibly private sponsorships, which are largely funded with public money and are fully aligned with this administration's policies. The AP story mentioning Khair also details the loosening of admission requirements for Syrian refugees in the United States: "Instead of measuring students' English language skills through standardized tests that carry fees, some schools are offering online interviews instead. Some are accepting scanned copies of academic transcripts if the original has been lost." It is true that lack of documentation for Syrian refugee students is problematic. A workshop on "Delivering Higher Education to Syrian Refugees" was held in Turkey last year, bringing together actors from various regional and international governments, UN agencies, NGOs, and universities, as well as Syrian students and professors, to discuss the needs of university-age Syrian refugees and to better coordinate the efforts that support higher education opportunities for them.8 The workshop was organized by the IIE and the Dutch NGO SPARK in partnership with Al Fanar Media, and funded by the Ford Foundation, SPARK, and George Soros's Open Society Foundation. The Obama administration not only heard the appeal, but is joining UNHCR in "calling for new ways nations, civil society, the private sector, and individuals can together address the global refugee challenge. "11 Hence, the refugee summit to be hosted by President Obama on September 20 in New York. We cannot imagine him presiding over this high-level meeting before honoring his part of the bargain first. It is a safe bet, therefore, that the resettlement target of 10,000 Syrian refugees will be met by September 19, whatever it takes. The Departments of State and Homeland Security worked together to send additional staff to Jordan, and between February and April and the U.S. [Citizenship] and Immigration Service (USCIS) interviewed almost 12,000 applicants who had been referred by UNHCR for refugee resettlement in the United States. The fact that 225 Syrian refugees were admitted into the United States in a new single-day record for Syrian refugee approvals is beside the point.14 What is of importance here is that 12,000 were interviewed in such a short time driven by the urgency to meet the September deadline. Of those, 4,700 have been approved, according to U.S. Homeland Security Secretary Johnson, and an additional 7,900 are awaiting final approval.15 How many come in a day or a week is more likely related to logistics (plane tickets, welcoming committees, available housing, etc.) and final screening. As the State Department's Henshaw stated in his oral presentation: "We have enough in perspective to bring them [10,000] in, 2,000 were brought already. We are on track." 1 Elizabeth Campbell, "Strengthening The Global Response to Refugee Crises Worldwide", U.S. Department of State blog, February 1, 2016. 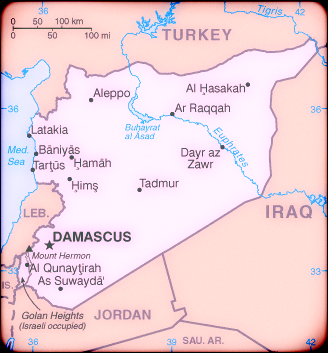 2 Nayla Rush, "'Alternative Safe Pathways' for Syrian Refugees – Resettlement in Disguise?" , Center for Immigration Studies blog, April 25, 2016. 3 "U.S. Refugee Resettlement Processing for Iraqi and Syrian Beneficiaries of an Approved I-130 Petition — Frequently Asked Questions", U.S. Department of State, Bureau of Population, Refugees, and Migration, March 11, 2016. 4 Collin Binkley, "Refugees and scholars: Colleges offer war-torn a route to US", Associated Press, May 24, 2016. 5 Institute of International Education website, undated. 6 Allan E. Goodman, "Why the Refugee Crisis is so Unique", Institute of International Education blog, March 24, 2016. 7 Collin Binkley, "Refugees and scholars: Colleges offer war-torn a route to US", Associated Press, May 24, 2016. 8 James King, "The 'Delivering Higher Education to Syrian Refugees' Workshop: A Rare Moment of Guarded Optimism", Institute of International Education blog, January 6, 2016. 9 "Strengthening Delivery of Higher Education to Syrian Refugees", Workshop Report, Al-Fanar Media, October 6-7, 2015. 10 "High-level meeting on global responsibility sharing through pathway for admission of Syrian Refugees", UNHCR High Commissioner's Speech, March 30, 2016. 11 "The United States Announces Additional Pledges in Support of Syrian Refugees", U.S. Department of State Media Note, March 30, 2016. 12 Nayla Rush, "How to Screen 600 Syrian Refugees a Day: A 'Surge Operation'", Center for Immigration Studies blog, April 8, 2016. 13 "Refugee Crises in the Middle East: A Shared Responsibility", Center for Migration Studies, May 18, 2016. 14 Stephen Dinan, "State Department sets new single-day record for Syrian refugee approvals", the Washington Times, May 24, 2016. 15 "4,700 Syrian refugees approved resettlement to U.S.: Homeland Security chief", Reuters, June 2, 2016.